Gironde is the largest in area of the departments of France. It features famous vineyards, extensive forests, seaside resorts and the beautiful city of Bordeaux. The vineyards, dating back to Roman times, are located on both sides of the Gironde, Garonne and Dordogne rivers. Bordeaux Wines represent some 10% of French production and are among the most appreciated and expensive in the world. Saint-Émilion is one of the principal wine-growing centers. The Bassin d'Arcachon (Arcachon Basin) is a mecca for water-sports and golf. Its 60 miles of coastline feature fine sandy beaches and the most magnificent dunes of Europe. 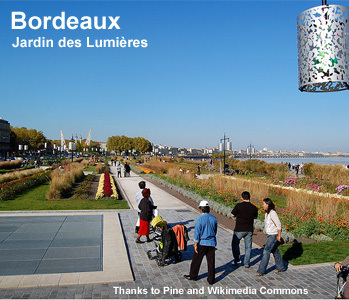 The jewel of Gironde is Bordeaux, the wine capital of the world. With a great history, much of the city is listed as a UNESCO World Heritage Site.